– Each use of dental cement requires specific characteristics. should become very strong after they set. – Other cements are mixed to a putty like consistency to restore missing tooth structure or to help protect the pulp under a filling. – Some cements are used for a variety of procedures; others have limited use. – The term “cement” implies that the material will be used to lute or glue things together. – Dental cements hold appliances and restorations in place with micromechanical and macro mechanical retention. – Some dental cements are adhesive through chemical bonds, but most are not. – When a crown is luted to the preparation, the cement is mixed and then painted inside the crown (or filled). – The crown is seated in place on the preparation, causing the excess cement to ooze out at the margins. removed, much like scaling calculus from teeth. behind will cause gingival irritation. 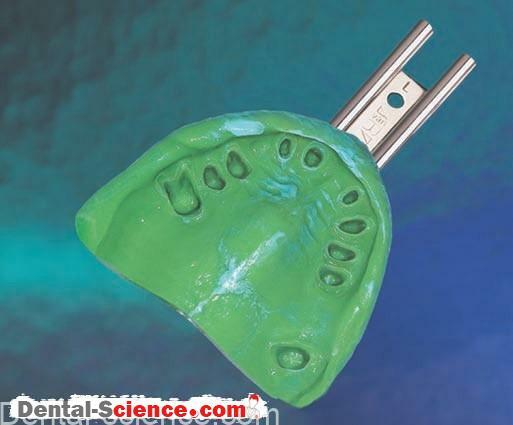 – Luting cements have the most demanding requirements of any dental material. – The resulting material must be biocompatible and insoluble in oral fluids. accurate fit of the restoration to be luted is critical. – Crown margins should precisely fit the preparation to minimize the amount of cement that is exposed to the oral environment. – A patient’s oral hygiene and diet can also affect the longevity of a luted restoration. – As bacteria ferment sugars, the pH in the mouth drops. – Dental cements are much more soluble in an acidic environment. – As the cement dissolves, a gap is created between the tooth and the restoration. – The tooth structure at the gap will have a high risk for caries. dental cements and other materials. – Dental cements are also used as an intermediate base or liner when the remaining dentin is believed to be less than 2 mm thick. – A base or liner is placed on the dentin between the pulp and the restorative material. 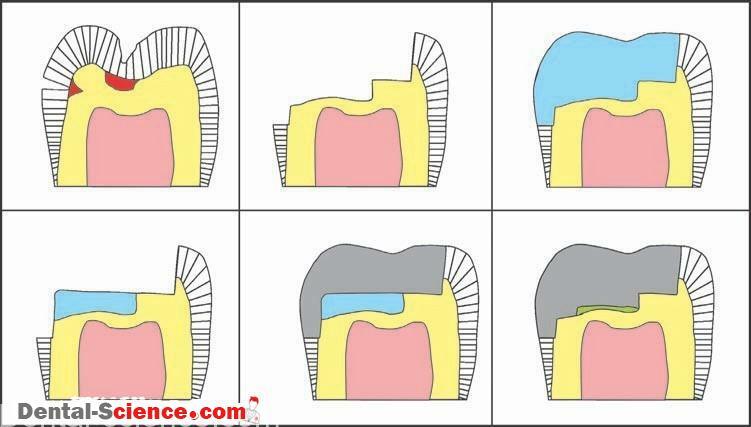 overlying restorative material, bases and liners must not be placed on margins. – A liner is used to protect the pulp from chemical irritation. – A liner may stimulate secondary dentin formation or release fluoride. – Liners are too thin (0.5 mm) to provide thermal insulation, and they may be too weak to support the restorative material or to resist amalgam condensation forces. solvent and calcium hydroxide or zinc oxide. – Methylcellulose was commonly added to increase viscosity and improve handling. – Liners were used to prevent chemical irritation. – Originally, they were very weak and soluble, and they were frequently covered with a stronger base material, such as zinc phosphate cement. – A base is stronger and thicker than a liner. – A base provides thermal insulation. irritating to the pulp before the setting reaction has completed. – Such a base may be used in conjunction with a liner. – Previously, the distinction between bases and liners was clear. – Some of the same dental cements that are used to lute crowns and that serve as a base may also be used as a temporary restorative material. – Many dental cements are used as a temporary restorative material. restraints prevent a more complex treatment. – Also, when pulpal pain and other symptoms do not result in a definitive diagnosis, such as reversible versus irreversible pulpitis, a temporary restoration might be placed. temporary filling material is removed. -The advantage to such procedures is that the pulp is less irritated when the overlying dentin is not exposed a second time. – When patients have a high number of carious lesions , caries control procedures may be implemented. – It is hoped that caries control procedures change the oral flora from acid-producing and acid-loving bacteria to other nonpathogenic species. – Two dental cements that are frequently used for caries control are zinc oxide–eugenol (ZOE) and glass ionomer cement. – If all the decay is removed from a lesion, the temporary restoration can later function as a base, as previously described. – Light-cure glass ionomers may be used for caries control and then veneered with composite material to improve esthetics and surface roughness. 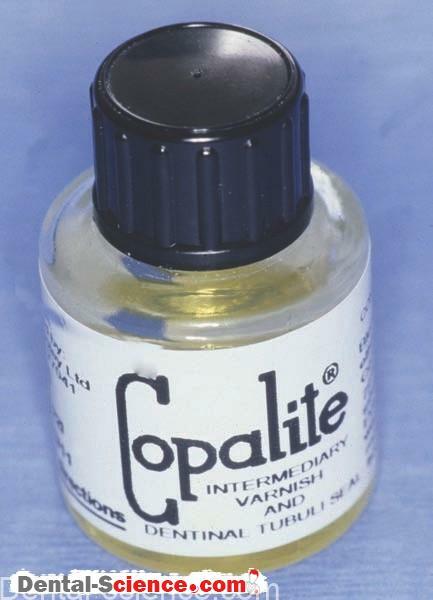 suitable for use in the anterior teeth. – Cavity sealers and dental cements are used to protect the pulp. varnishes are used to protect wood. – Varnish is composed of resins dissolved in a solvent. – The varnish is painted onto the entire cavity preparation, including the margins. – The solvent then evaporates and leaves behind a very thin layer of resin. – Varnish is frequently used under amalgam restorations. products form at the interface. composite materials because it would interfere with adhesion. – Some dentists are substituting dentinal bonding agents for varnish. – Several of these products will bond the amalgam to the tooth structure. dentinal bonding systems with all amalgam restorations. – Some dentists are using Gluma primer as a substitute for varnish. – Gluma is a brand name for one of the original dentinal bonding systems. – The original Gluma system has been completely reformulated, but the original primer is still available and becoming more popular with time. the properties of the materials determine their order of placement. – Adhesive materials are placed first. Irritating materials are placed last. For example, when a calcium hydroxide liner is used, it is first covered with the varnish, and then the amalgam is placed and condensed. – For many cements, the chemistry is a simple acid–base reaction. – The resulting product is insoluble in water and oral fluids. 1. Dental cements are often a powderliquid system. 2. The liquid is an acid. 3. The powder is a base. The powder must be insoluble in oral fluids but reactive with the acid. 4. If one understands the properties of the components of a dental cement, then one will be able to predict the properties of the resulting set material. 3. The residual powder and the matrix must be insoluble in oral fluids. 4. The end result is a “cored structure,” much like that of set amalgam. – The chemistry of composite cements is the same as that of acrylics and composites. – This chemistry was presented in Direct Polymeric Restorative Materials. – Two materials are used to make powders for dental cements: zinc oxide and glass. -The manufacturing process grinds and sieves the powders to obtain the proper particle size. – The size of the particles determines the film thickness of the resulting mixed cements. -Excessively large particles result in high film thickness, open margins, and recurrent decay. – Zinc oxide is the only insoluble, nontoxic, reactive oxide or hydroxide that is available to react with an acid. other oxides that control the setting rate, such as magnesium oxide. – Aluminum oxide is very strong and, chemically, very inert. – It mechanically reinforces the resulting cement. 2. Zinc oxide has some antibacterial effects and is included in diaper rash, sunscreen, and foot powder products. 1. Silicon oxide, the chemical formula of glass, is very unreactive. 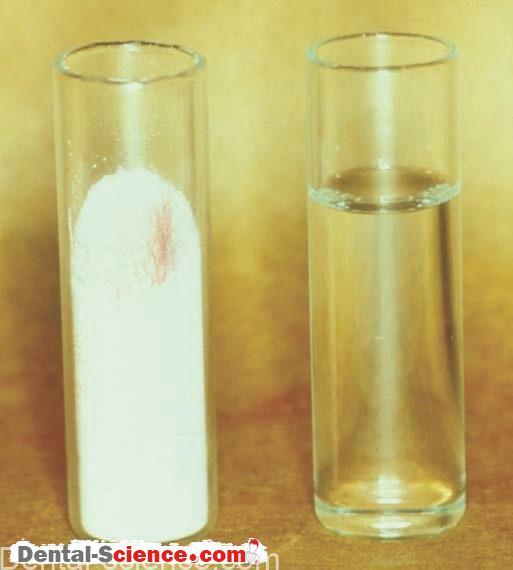 quantity, the glass will react with a strong acid. 2. The glass formulation also contains fluoride. improves the flow of the molten glass. fluoride and inhibit recurrent caries. – The reactivity of the powder components is controlled by the manufacturer and is matched to the reactivity of the liquid component. – The composition or strength of the acid determines the reactivity of the cement liquid. – The manufacturer controls this. – Eugenol is an organic liquid that is also a weak acid. – Eugenol is a major component of oil of cloves. – As a result, eugenol has the distinctive smell and taste (of cloves). 1. Eugenol is a phenol derivative that is antibacterial and also obtundent to the pulp. Obtundent means that it reduces irritation. 2. Eugenol inhibits free radical polymerization. set of composite restorative materials. 3. 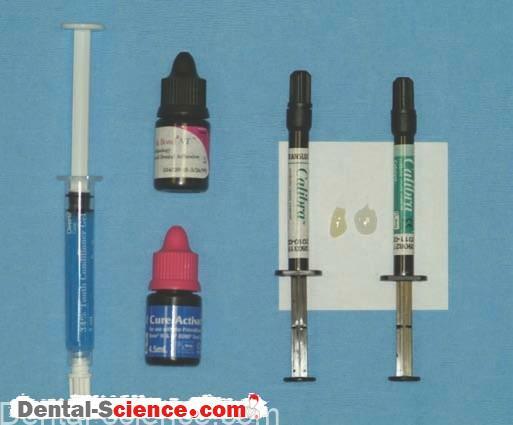 Other organic liquids have been added to eugenol to formulate dental cements. The most notable of these added organic liquids is ethoxy-benzoic acid. – The phosphoric acid used in dental cements is approximately two-thirds phosphoric acid and onethird water by weight. – This formulation is very acidic and can be quite irritating to biologic tissues in or out of the oral cavity. -Therefore, it is important to keep the cap on the bottle and not dispense the liquid until one is ready to mix the cement. – High or low humidity will affect the water content and, therefore, the pH, reactivity, and properties of the resulting cement. If the liquid appears cloudy, it has outlived its shelf-life and should be discarded. 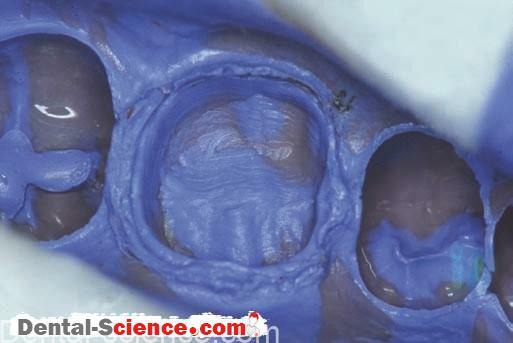 – Several dental cements use an aqueous solution of polyacrylic acid. – If one is not careful, the viscous liquid does not form independent drops. not be accurate and will vary greatly with each mix. – The carboxyl groups of polyacrylic acid bond to calcium in tooth structure. – This bond is believed to be relatively stable in a wet environment. – Adhesion of glass ionomer materials was presented in Adhesive Materials. – “Water hardening” or “water setting” cements use an hydrous, freeze-dried polyacrylic acid. – This combined powder is mixed with a companion liquid that is predominately water. zinc oxide or powdered glass. – Dental cements combine these three liquids and two powders. – NextTable lists the resulting cements. – The manufacturer adjusts the reactivity of both the liquid and powder components to obtain proper setting characteristics and other properties. – Do not mix powders and liquids of different cements or different products of the same type. that depends on the intended use. – A base or temporary restoration mix is thicker than a luting mix. – The higher the powder liquid ratio, the greater the strength, the lower the solubility, and in general, the better the cement. – On the other hand, working time decreases, and viscosity increases. – If a luting mix becomes too thick, the restoration may not seat adequately. – In this case, the marginal gap is increased, as is the likelihood of caries. – In addition, micromechanical retention is reduced. – Mixing time is also important. – If the mixing procedure is too slow, two problems can occur. – The first involves the resulting mix becoming too thick. In this case, the restoration may not adequately seat when luted, which increases the marginal gap. – The second involves adhesion. – The mixed cement must be fluid enough to wet the tooth for both micromechanical and chemical adhesion. – If the mixing process is too slow, the carboxylic acid groups react with the powder and are not available to react with the tooth structure. – Chemical adhesion is then reduced or even eliminated. – Paper pads are available for mixing many dental cements and other dental materials. – Cement liquids may weaken the paper surface, causing it to become abraded. – Some mixing pads use paper that has been coated with a thin layer of plastic. – This type of pad is commonly used with glass ionomer and polycarboxylate cements. – A thick glass slab is favored for mixing zinc phosphate cement; typically, the slab is cooled to improve the resulting mix. – Most cements come as powder liquid systems, but some are paste paste systems. – Each dental cement has its own advantages and disadvantages. – Use and mixing of dental cements are summarized in Next table. These are approximate time periods. Check the manufacturer’s instructions for specific mixing times, measurements, and setting times. – Silicate cement is formed when a glass powder is mixed with phosphoric acid. – At one time, silicate cement was the only available esthetic anterior restorative material. 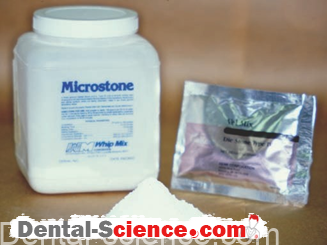 – Silicate cement is very acidic, very irritating to the pulp, and highly soluble. – It also leaks excessively. – As a result, silicate cements were used with liners. – Silicate cement restorations needed to be replaced often; however, recurrent decay was rare. – It was discovered that the infrequent occurrence of recurrent decay was caused by fluoride release. – Fluoride was present in the glass powder. Thus, fluoride release became a desirable property for many dental materials. – At one time, calcium hydroxide liners and bases were very popular materials and were placed under most composite restorations. – Calcium hydroxide products promote the formation of secondary dentin. – They are still recommended when a cavity preparation leaves little dentin covering the pulp or when a “micro pulp exposure” is suspected. – At this time, they are the recommended materials for direct pulp-capping procedures. – A direct pulp cap is a material that is placed on vital pulp tissue when the overlying dentin is removed and the pulp is exposed. – The tooth is then restored without root canal therapy. – Success of a direct pulp cap is not guaranteed, and additional treatment may be required. – Calcium hydroxide materials are paste/paste systems, as shown in. – One paste contains calcium hydroxide; the other contains salicylate. – Titanium oxide is added as a filler. – The oldest calcium hydroxide products were weak, soluble, and used only as liners. – Improvements have strengthened the material, however, and now some products are strong enough to be used as a base. – The setting reaction of calcium hydroxide materials is accelerated by water. application onto the dentin surface. 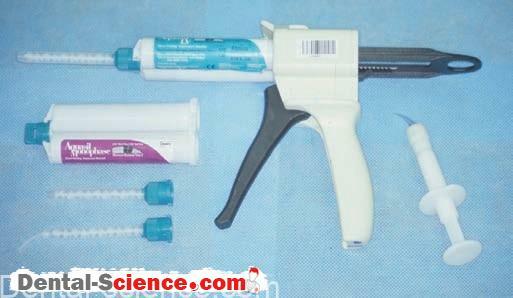 – This feature makes calcium hydroxide very easy to use. – Temporary cements are typically paste/paste systems. – They are a unique group of materials in that both a maximum and a minimum strength are required (remember Goldilocks?). – If the temporary cement is too weak, the temporary restoration will be lost prematurely. – If the temporary cement is too strong, the dentist may have trouble removing the temporary crown, and damage to tissues may occur. – Many temporary cements are paste/paste ZOE formulations. – The composition of one paste is zinc oxide and vegetable oil. – The other paste contains eugenol. – The ZOE temporary cements mix easily and set quickly in the humidity of the mouth. – The set material is brittle, and the excess cement is easily removed. – The obtundent property may even settle down an irritated pulp after it has been insulted by tooth preparation, impression procedures, and construction of a temporary crown. – This describes a nearly ideal material—so what’s the problem? temporary cement will inhibit the set of resin cement. – Remember that eugenol inhibits free radical polymerization. – As a result, temporary cements were developed that do not contain eugenol; instead, fatty acids and other chemicals are used to react with zinc oxide. – These products have similar properties, but they do not handle as well. – At times, a temporary crown or bridge refuses to stay in place. – It keeps coming off, frustrating both the dentist and the patient. – When a stronger temporary cement is needed, a powder/liquid formulation of ZOE cement can be used but should be mixed with a lower-than-recommended powder/liquid ratio to reduce the strength. – Surgical periodontal packs are paste/paste systems. – They mix and handle much like ZOE impression materials. – The composition is similar to ZOE temporary cements. – These products are placed over surgical sites to protect the underlying tissues. 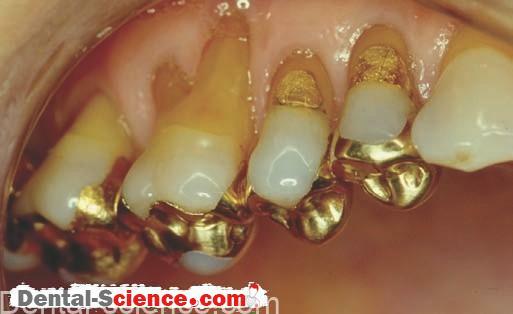 – They are temporarily held in place by using the undercuts and embrasures of teeth. – Surgical packs are weak materials, so they are easily removed. – These products are formulated in the same manner as non-eugenol temporary cements.